Effort. 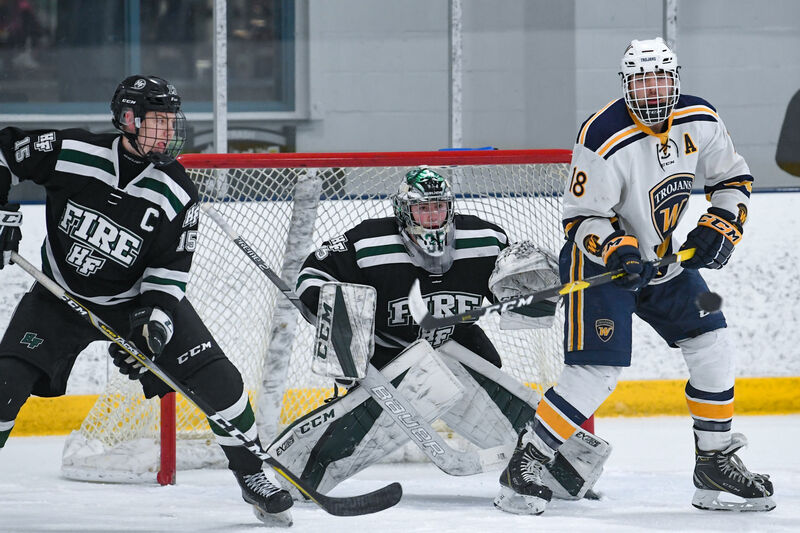 The Holy Family hockey players have grown to know the importance of giving their best effort at all times: in the classroom, on the ice, and in the community. I believe the very same. I challenge my hockey teams, my players, to push beyond previously established boundaries, to give their best effort, and to always compete with passion on and off the ice. Competition. For me, there is no better word to define the 2018-2019 Holy Family hockey season. Since arriving in Victoria eight years ago, the competition and expectations has escalated to higher levels each season. 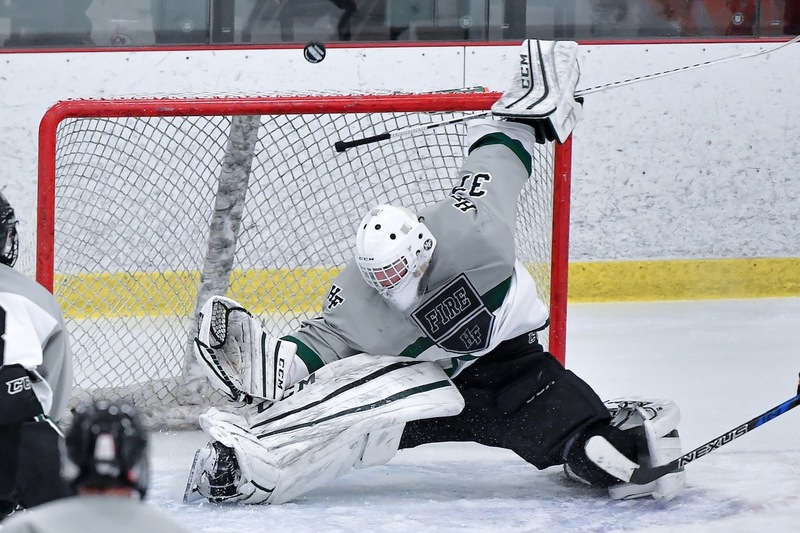 Our schedule has grown markedly tougher, with games against many of Minnesota’s best and most traditional high school hockey powers. The program itself has a grown; this year we have some very talented returners along with some new faces on both teams. As a result, competition against our opponents and competition within the team itself is expected to be fierce. Growth. Who will rise up to accept these challenges? We had a lot of familiar names that dotted our lineup for the past few years graduate and moved on to new endeavors. Our preseason ranking again is in the top 10 in the state. Our record of improvement every year is unquestioned. A few well-known, players with statewide reputations remain. I expect our players to accept the competition and lead this program to even loftier heights. And who will set the stage for the years to come? 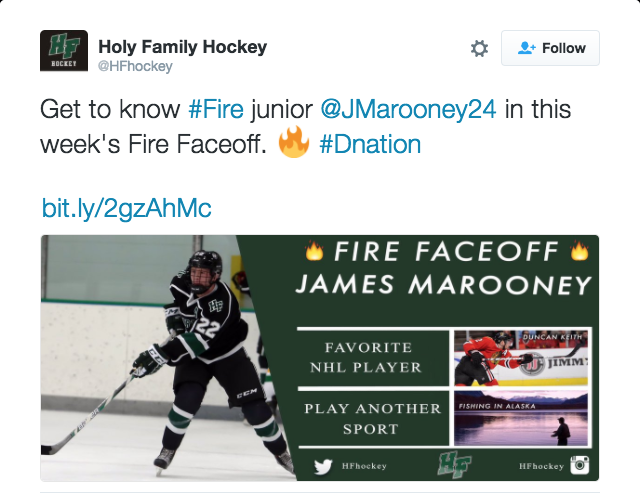 Holy Family has seen its hockey program grow over the years with such a broad-based, high level of talent. 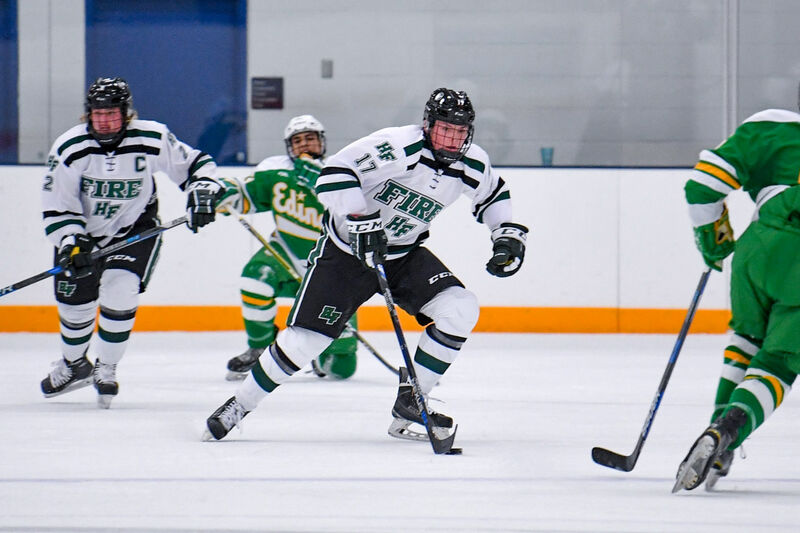 The competition amongst these players will be fun to watch as they challenge each other for ice time, battle opponents in big games, and set the stage for the time they will be expected to lead the green and white. I believe strongly that competition makes all of us better. It makes me better as a coach; it makes my athletes better as players, as students, and as part of the greater Holy Family community. I am continually proud of what our student-athletes have accomplished. They are a group of young men that work hard, wear the Holy Family colors with pride, and always give their best effort. It is my honor to be their coach and I hope you will enjoy their talents as they compete to their very best during the 2018-19 hockey season. 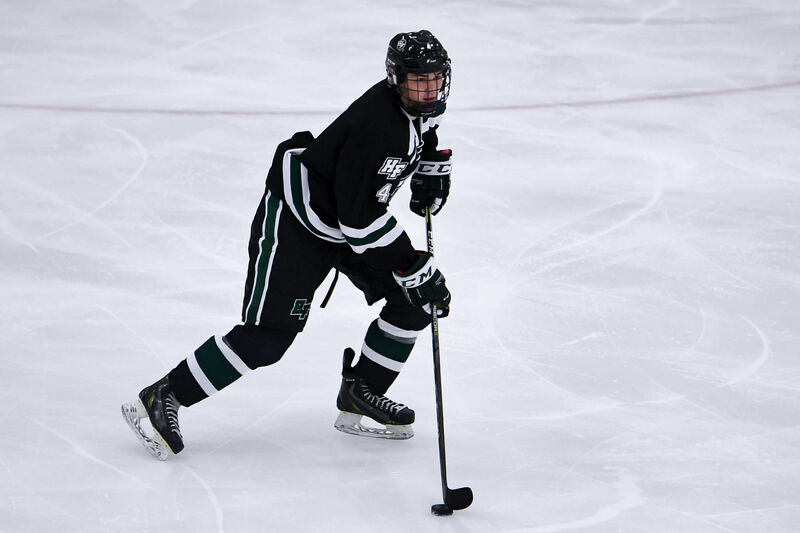 Noel Rahn grew up playing his youth hockey in Edina where he played 3 years of Varsity hockey (1986-1989). During his Junior season his Hornets won the Minnesota State High School Hockey Title in 1988. Following High School, Rahn went on to play at the University of Wisconsin where he won the National Championship his freshman season. 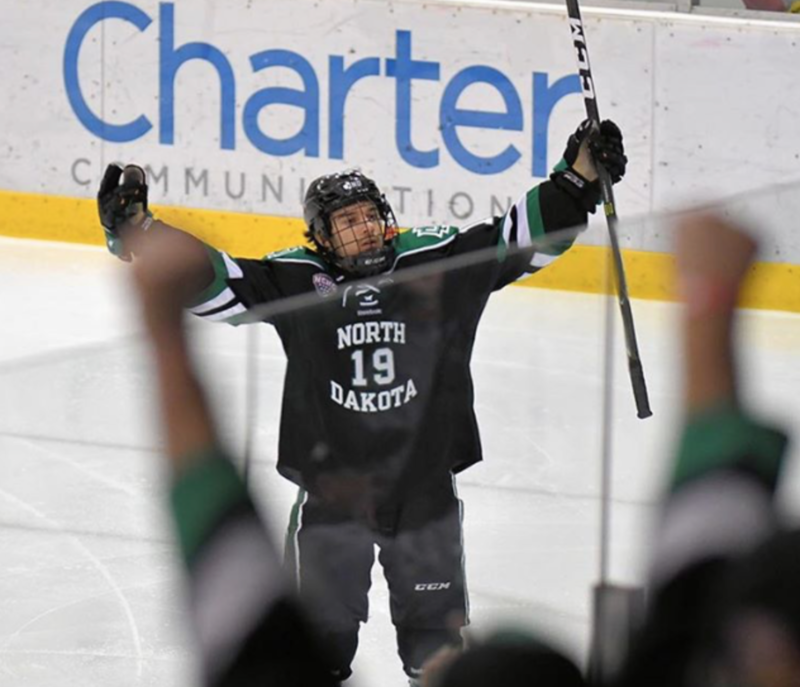 His final two years of WCHA hockey he played for the State Huskies. During that time, Rahn was drafted by the Quebec Nordiques in the 1989 NHL Entry Draft. After his playing days, Rahn became a player agent with his brother-in-law Brian Lawton who is a former GM of the Tampa Bay Lightning of the National Hockey League. Rahn's duties as an agent for Lawton Sport and Financial included recruiting and identifying talent at all levels around the world. During Noel's employment many of the young prospects he represented are currently playing or played in the NHL. Noel was monumental in developing the agency which was later sold to Octagon. 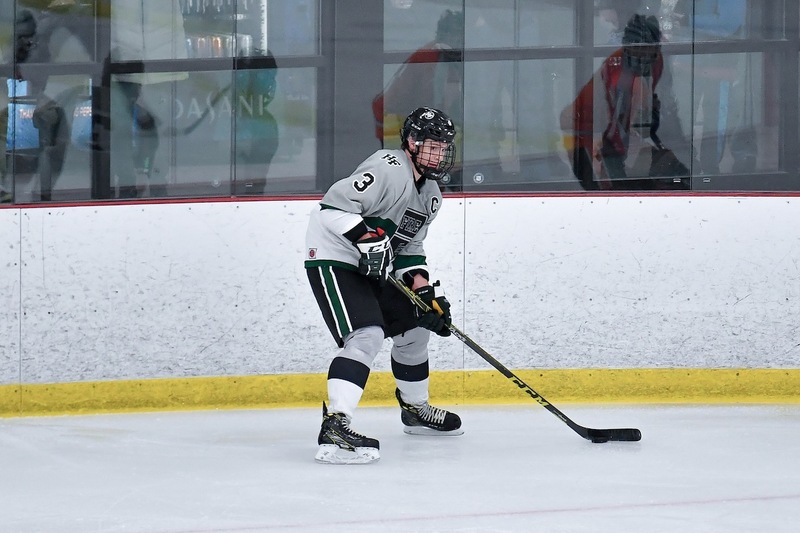 Most recently, as an NHL amateur scout for the Phoenix Coyotes and Minnesota Wild, Rahn focused on scouting prospects in the High School, Major Junior, and College ranks around the world. Coach Rahn is currently very active in coaching and assisting many of his Boys and Girls AAA teams at the Velocity Hockey Center. He has coached and developed some outstanding players/teams recently in the "1992", "1996", "1999" and "2002" Boys teams. These teams have won numerous championships at the INVITE levels. 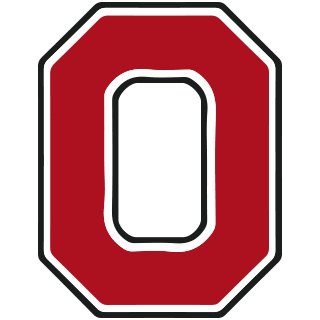 Many of his players have gone on to play Juniors, Division I College or are currently playing Varsity Hockey at a young age. 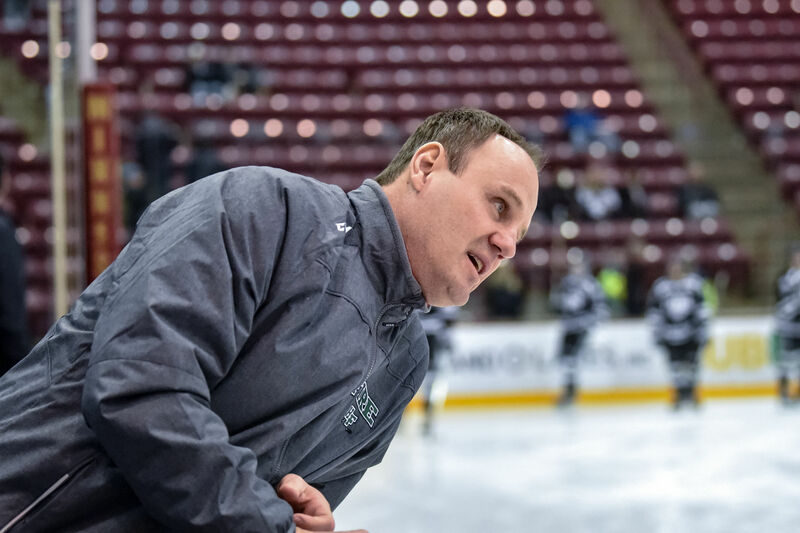 Noel has a variety of experiences instructing as well as coaching all levels of hockey ranging from youth hockey to High School Hockey to College Hockey all the way to the NHL. In the year of 2006 he led his Eden Prairie Peewee “A” team to the 2006 State Tournament Title with a 55-2 record. Currently Coach Rahn is the Head Varsity High School Boys Coach at Holy Family Catholic School. 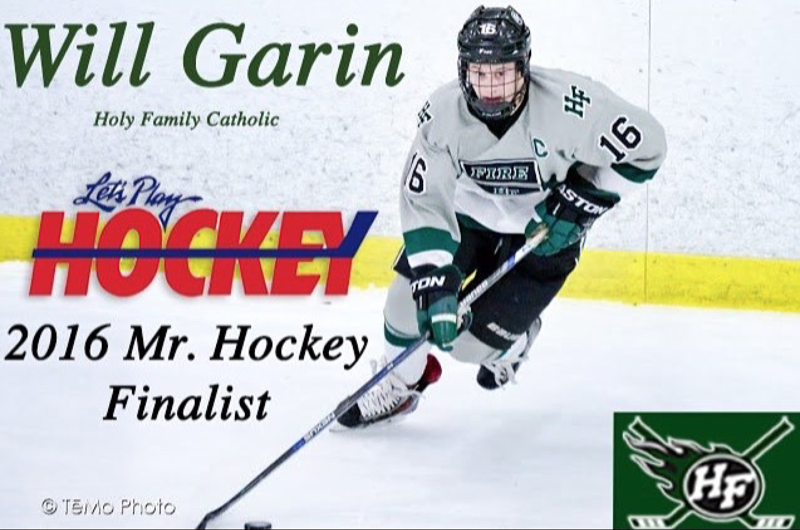 In 8 seasons at Holy Family he has posted an impressive 150-55-6 record. 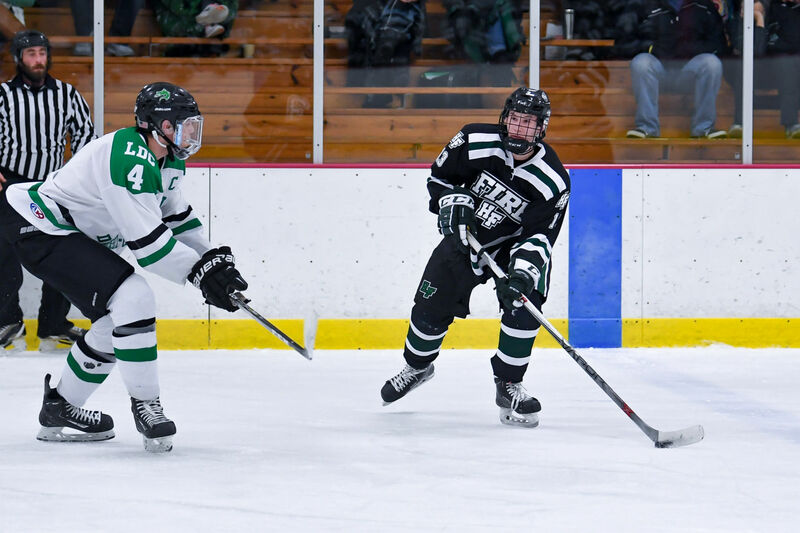 Holy Family currently plays AA Hockey and is in Section 2AA. His teams have been consistently ranked in the top 10 the past 5 seasons. Coach Shute was raised on the ponds and parks in Richfield Mn. That’s where he fell in love with hockey. His Highlight of youth hockey was definitely winning the Bantam A state championship in 1986 with his friends he still has today!! Played for the Richfield H.S.Spartans 87-89. Also moonlighted with the USA select 16,17,18 teams . After HS he went to the WHL Major jr A in Canada playing for the Medicine Hat Tigers which is a storied franchise in Canada’s hockey history playing for the Memorial Cup which is Canada’s ultimate trophy before the Stanley Cup. Unfortunately was one of the last cuts on the USA 1992 Olympic team, he says he should’ve made the team!! Drafted in 89 by Pittsburgh Penguins and played a handful of pre season games with Mario Lemieux, Jaromir Jagr , Paul Coffey etc ,,and coach Badger Bob Johnson and GM Scotty Bowman with the Pens. Needless to say I learned a lot from all those legends! Then went on to have a 12 year career around the world playing hockey in over 10 different countries in leagues or tournaments. Shooters worldwide experience , fun outgoing attitude and love of the game will benefit the Holy Family Fire!!!! He also has his own Shuter’s Xplosive Skating training company helping players get to the top! He has coached and instructed all ages and gender for over 25 years. Do you know what time it is?? The time of your life!! 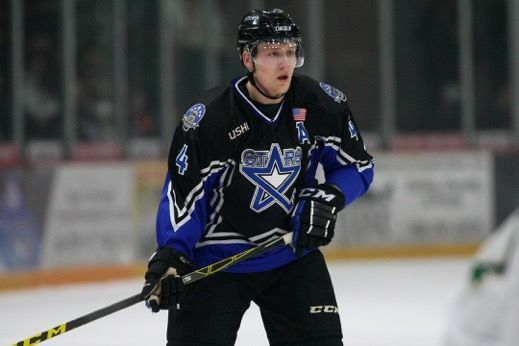 Darrell Lindemann has been involved with all facets of hockey since he started playing youth hockey in Crystal, MN. He was on the Varsity hockey team at Cooper High School beginning in 9th grade and played High School baseball as a 9th grader as well. 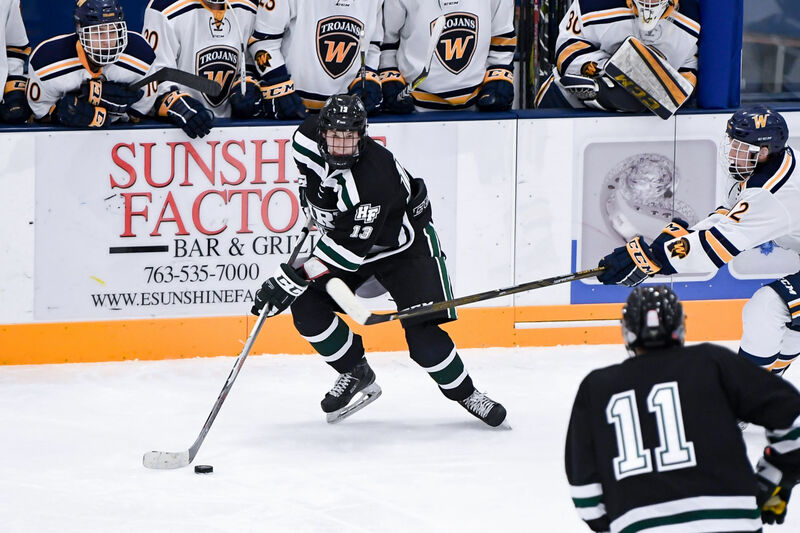 Following high school, he played a short time in the USHL Junior “A” League before retiring from hockey and completed his degree at Mankato State University. Darrell spent many years as a Level 4 hockey referee officiating youth to high school level games. He enjoys sharing his knowledge and passion for the game and is a great communicator with the players. Darrell specializes in proper skating technique, edge work and over speed skating with all ages of players and trains players in the summer to get quicker and faster for the upcoming hockey season. 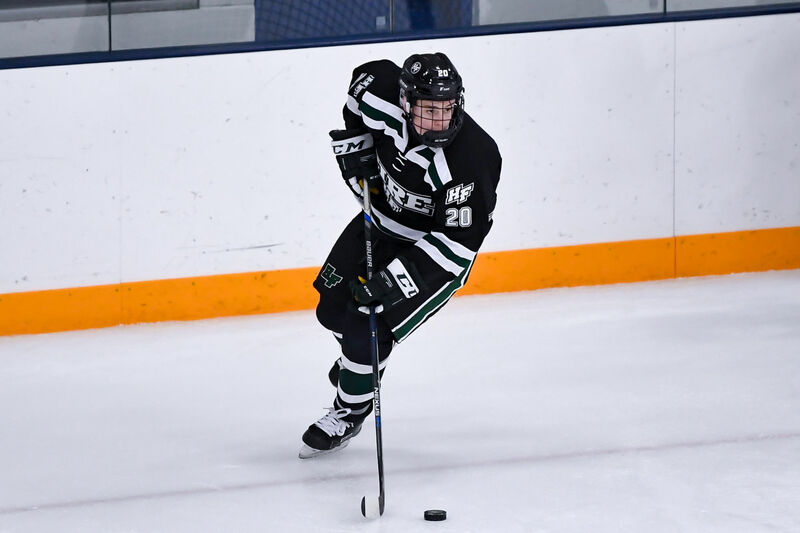 He has been a youth hockey coach for 10 years and is the Boys Director for the Minnetonka Youth Hockey Association and also on their Hockey Development Committee. He encourages passion for the game, creating lifetime memories, playing as a team and teaching players respect for their teammates is an important part of developing student athletes. If Darrell’s not coaching hockey, baseball or a girls softball team, he enjoys time with his wife Julie and son Gavin (14yrs old) and daughter Jaiden (11 yrs old). Blake was born in St. Paul and raised in a town called Marine on St. Croix, Minnesota, just north of Stillwater. I played association hockey for Stillwater, and eventually played 3 years of Varsity at Stillwater High School. 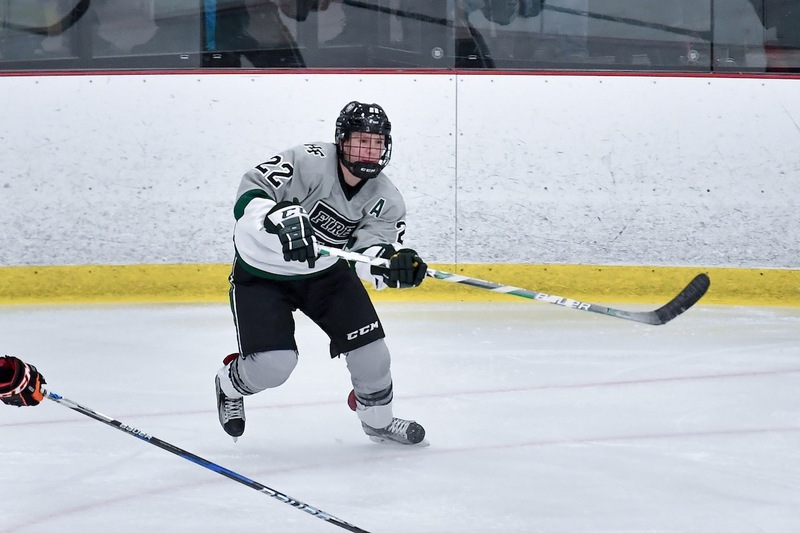 Also during that time I spent time playing for the Minnesota Blades where I was given the privilege to travel all over the US and Canada and play with and against some of the best players at my age level. 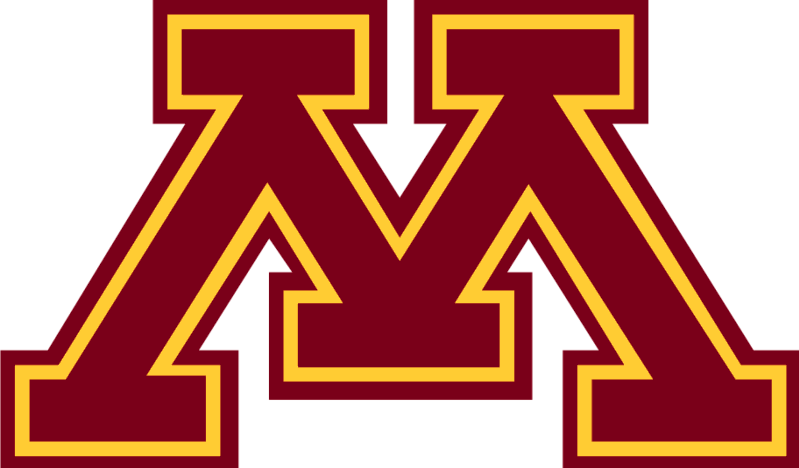 After graduating I had a short stint at the Junior level, when eventually I decided to move on and go to the University of Minnesota where I received a Bachelors Degree in Journalism. While In college I spent roughly two years coaching both on and off ice sessions at Velocity Hockey. 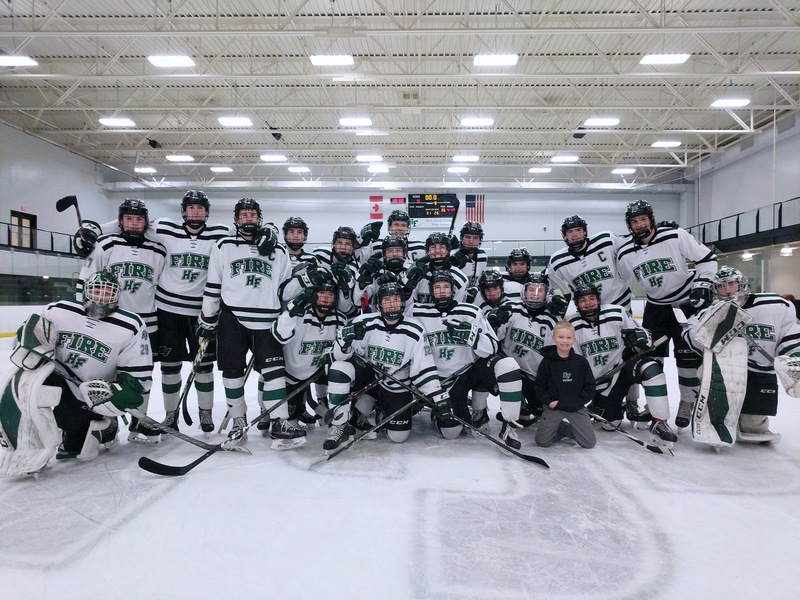 Additionally, I have coached at the Lumber Yard Hockey and Sports Center, helped with the Centennial High School girls summer program, and most recently I was coaching the Minnesota Revolution and Assisting at Atomic Oxygen Hockey Training. 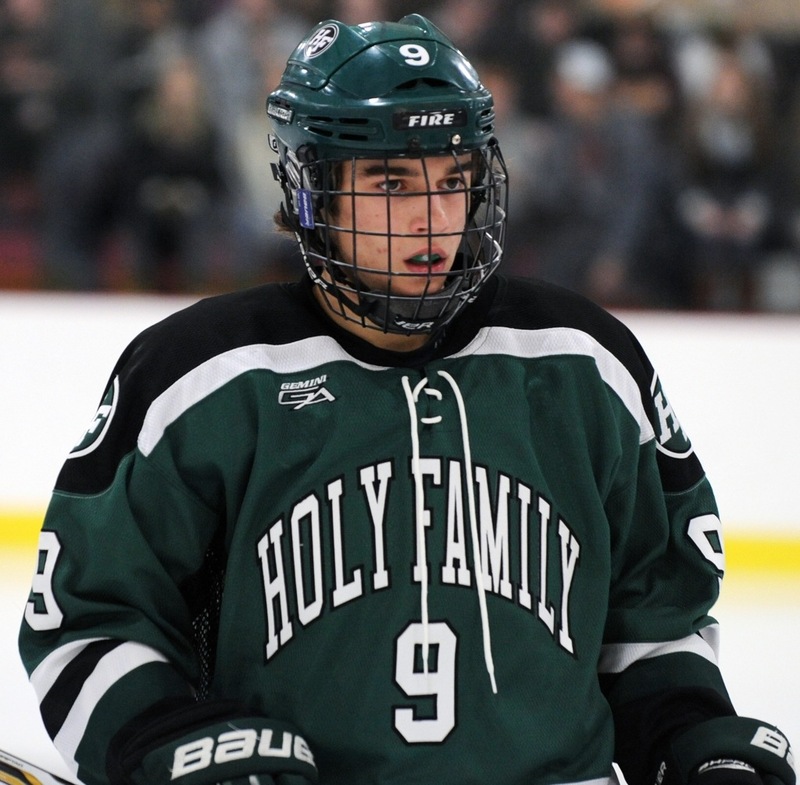 The Holy Family Hockey Program's main focus is to build quality people through Ice Hockey and Academics. The athletes are challenged with high expectations in a structured environment, which lets the athlete explore their own creativity. 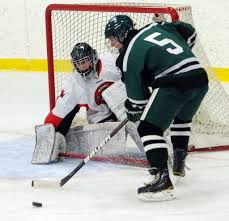 Academics are strongly reinforced and must be kept at a high level before the athlete competes on the ice. Through this process an individual with strong moral fiber, a quality work-ethic and the ability to lead is introduced into the community. Puck possession is the main focus. Avoid dump and chase at all costs. Player creativity within the team concept is stressed at all times. Players are held accountable for all 3 zones, especially the Defensive Zone. Players are allowed to make mistakes and are given positive feedback. Video sessions are addressed with the team and individuals throughout the season. 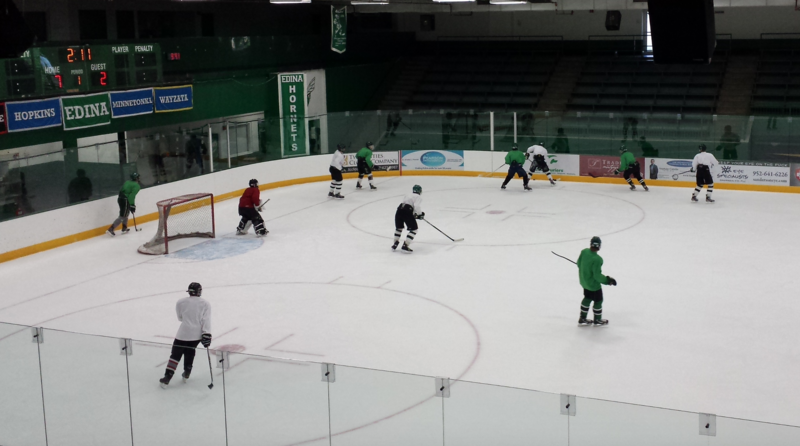 Forwards, Defensemen and Goalies each have a specific coach. Coaches split up multiple times in practice to work on position specific skills each week. Players are challenged with high expectations and are encouraged to set lofty, but attainable goals. Coaches and the program promote players to go on to the next levels of hockey; NAHL, USHL, Division III and Division I, etc. The Holy Family program puts the athlete and the program first and foremost, always. The High School schedule is different on many different levels from the youth associations. Practices play a huge part in the development and preparation for our 25 game season. Games can fall on any day of the week. This means practices need to planned and organized ahead of time in such a way that gives our players the best chance to succeed as an individual and most importantly as a team. We do this with the following tools and techniques. Using pre determined practice plans that we customize and build on FlexxCoach that allows players to see plans BEFORE practice. Monitor player Strength, Conditioning and Body Composition throughout the season. Monitor players class schedule and grades DAILY to make sure players are on track to succeed in the classroom. Determining on and off Ice plan based off school and game schedule that week. We believe game and practice footage is essential to the development of our players in todays game. Our goal is to make a professional level of video teaching points available to our players at all times. The Crossover Video Platform allows us to do the following. Focus in on smaller groups ex. Forwards, Defense, Goalie, Power Play, Penalty Kill. Send footage to Junior, College, and NHL Scouts. 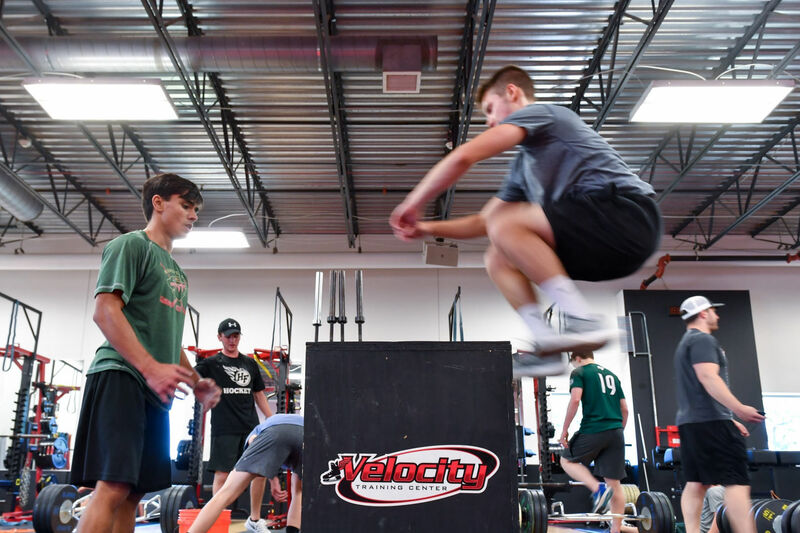 Our ownership of Velocity Hockey Center means we have a state of the art training facility that is conveniently located at Braemar Arena in Edina. 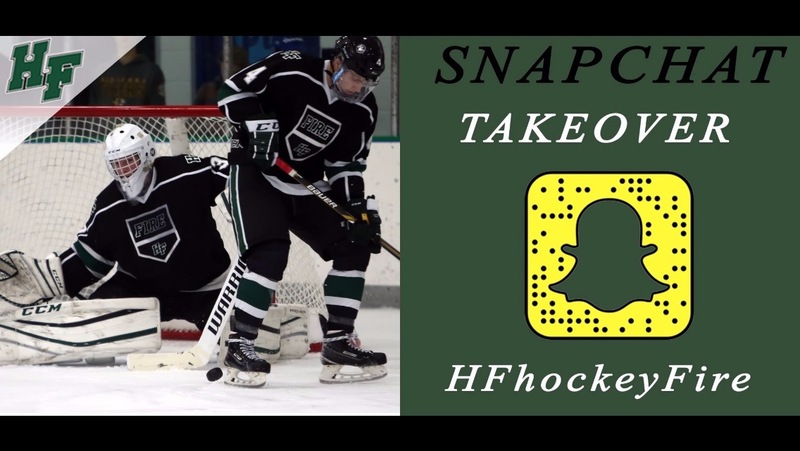 Filled with all the tools any athlete needs to continue to grow as a hockey player and further enhance their ability to achieve their hockey goals. Our top of line training staff will work closely with all our Holy Family players from the day they enroll into our school. Training will be available 12 months a year on a daily basis for any players who wants to train. The facility also has a Stick-handling area, Shooting zone area and Skating Treadmill. All of these areas are included in the training and will be accessible to all players 12 months a year. Sessions will take place on Monday, Wednesday & Friday. 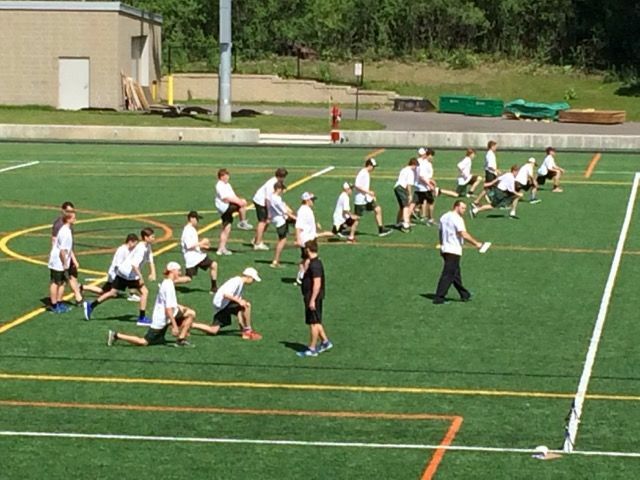 Focus on Speed, Power, Injury Prevention and Hockey Specific Energy Systems. Additional services available: Reflexive Performance Reset, Functional Movement Screening, Prehab and Rehab protocols, Body Fat Testing, Hormonal Analysis, Nutritional Guidance. The Holy Family Fire will start there captain's practice the 2nd week of September. This program will be 11 weeks long. Players will start the first 3 weeks with just strength and conditioning. The training sessions will be on all Monday's, Wednesday and Friday at the Velocity Training Center in Edina after school. The On Ice sessions will start the ladder part of September. All skating sessions will be held at the Victoria Ice Arena in Victoria across the street from the High School. Players will skate on ALL Tuesday's and Thursday's after school from 3:00pm to 4:15pm. We will have an elite coach running all these sessions to prepare the kids for the upcoming tryouts through skills, systems and tactics practices as well as conditioning. The Fall strength program is our third block of off-season training and thus focuses on power and speed. The weights become lighter and more explosive as we want to increase the rate of force development. This will allow the athlete to maximize their speed heading into the season. 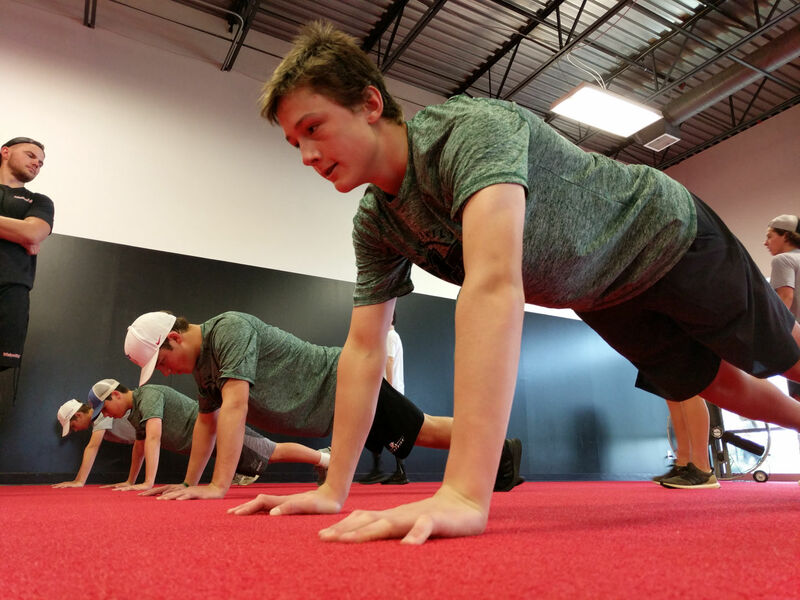 These comprehensive 1 hour workouts are specifically designed for our hockey players. The first part of the workout focuses on movement which includes a dynamic warm up, mobility and speed development. The second part of the workout is dedicated to strength training with plyometrics, conditioning and recovery. 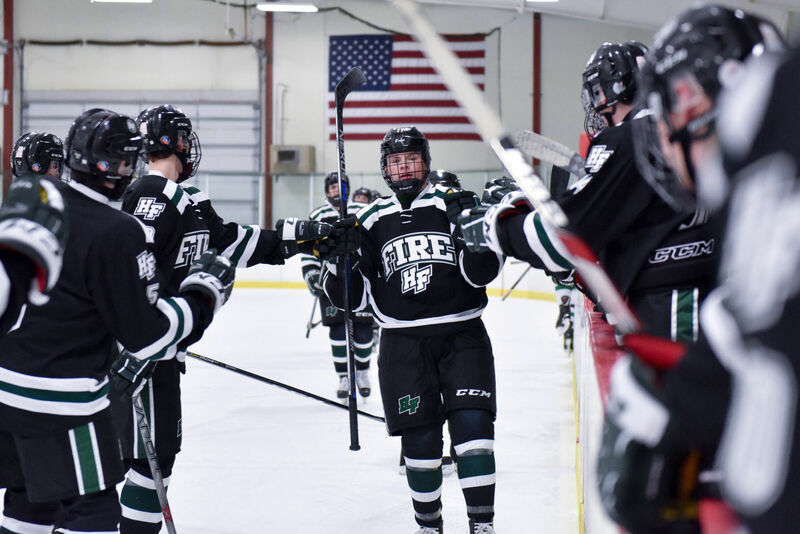 The Holy Family Fire hockey In-Season Strength and Conditioning Program is one of the most utilized tools in our hockey season. Workouts alternate between a strength focus and a power/speed focus. 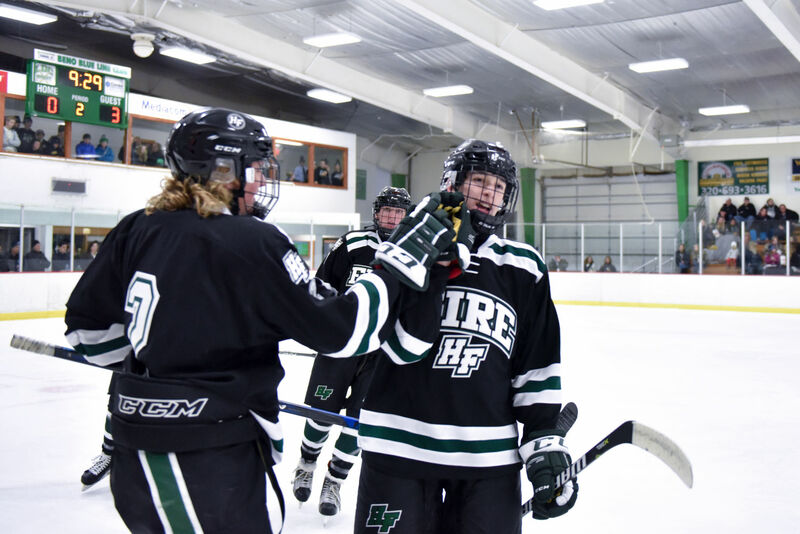 There are three major reasons why our players are required to participate in our in season program at Holy Family. Maintaining strength levels is essential to athletes performing at a high level year-round as well as In-Season. The maintained strength allows the athlete to produce optimal forces on the ice and maintain skating efficiency. Significant decreases in strength and speed can happen in as little as 7 days. Stress is accumulated in school, practices, games, and daily life. High stress levels can significantly interfere with the body’s physiological systems and lead to poor performance and even injury. The ability to manage these stresses will have a profound impact on your ability to perform optimally. 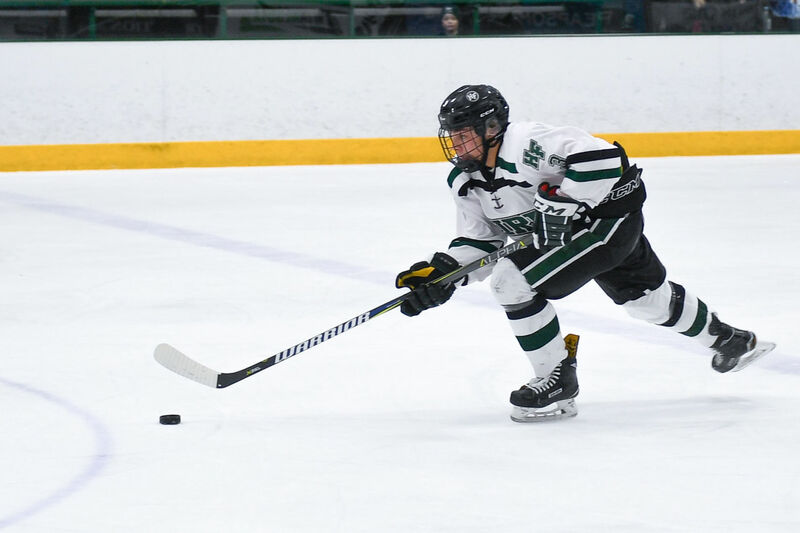 Our in-season program includes recovery methods to counteract the accumulated stress of the season and keep the athlete healthy and functioning at a high level. Our spring training program is our first block of off-season training and focuses on work Capacity. During this block our main goal is to improve the amount of training and athlete can perform, recover from and positively adapt to. This lays the cornerstone for long term training success as it improves fitness levels and will allow more intense training throughout the off-season. 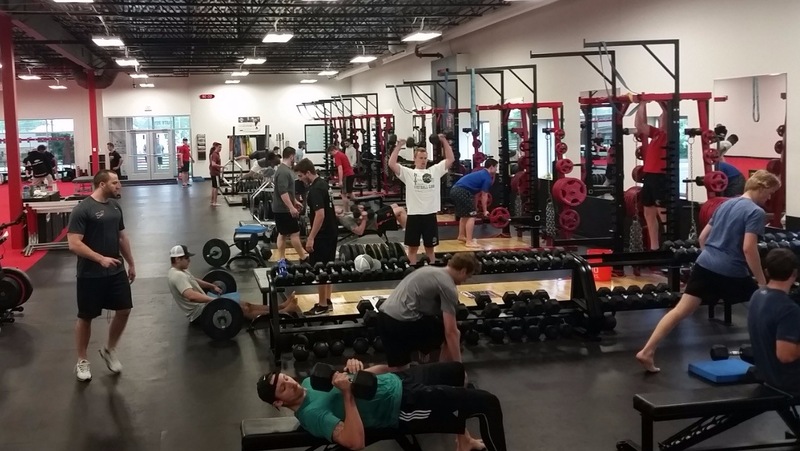 These comprehensive 1 hour workouts are specifically designed for our hockey players. The first part of the workout focuses on movement which includes a dynamic warm up, mobility, speed development, and plyometrics. The second part of the workout is dedicated to strength training, conditioning and recovery. 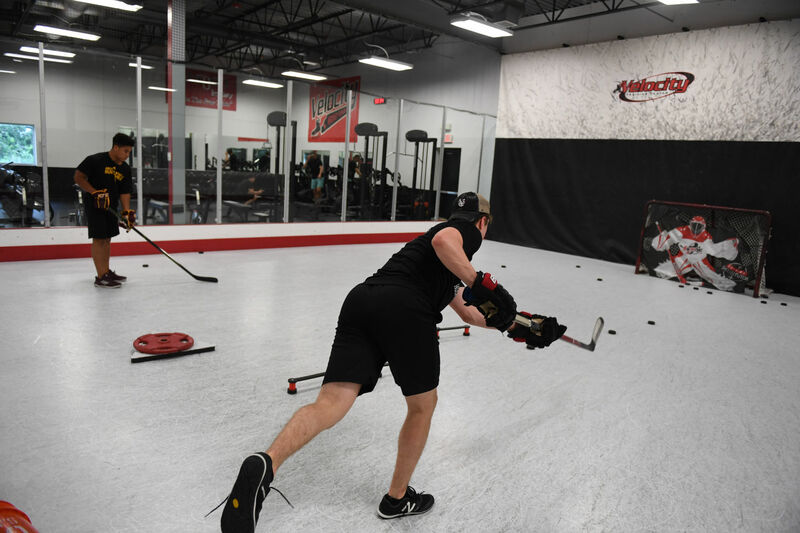 Our summer training program uses the latest science and advanced methods in hockey training to improve Strength, Speed & Power. Our athletes are monitored in strength, speed, and power tests to provide individualized programs and feedback on training progression. The Summer Training Program is our second block of off-season training and focuses on increasing Maximal Strength. We break this block up into specific 2 week cycles that teach the body to absorb force therefore allowing it to produce higher forces in return. This allows the body and muscles to be more reactive and makes the body more resilient to the stresses experienced on ice. Dryland training programs can vary greatly between our High School aged players, however we try to keep the same training philosophy and goals. 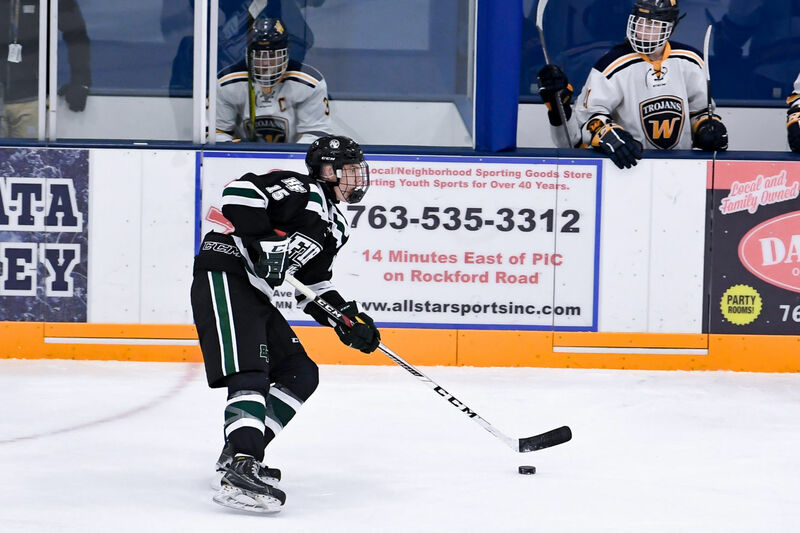 We emphasize a comprehensive off-season training program at Holy Family that is designed to increase the Strength, Speed & Power of each athlete while also increasing their mobility and reduce sport injuries. Our strength and conditioning coaches design our program based on the principle of periodization. Periodization is the systematic planning of training to reach the best possible performance in the most important time of the year. 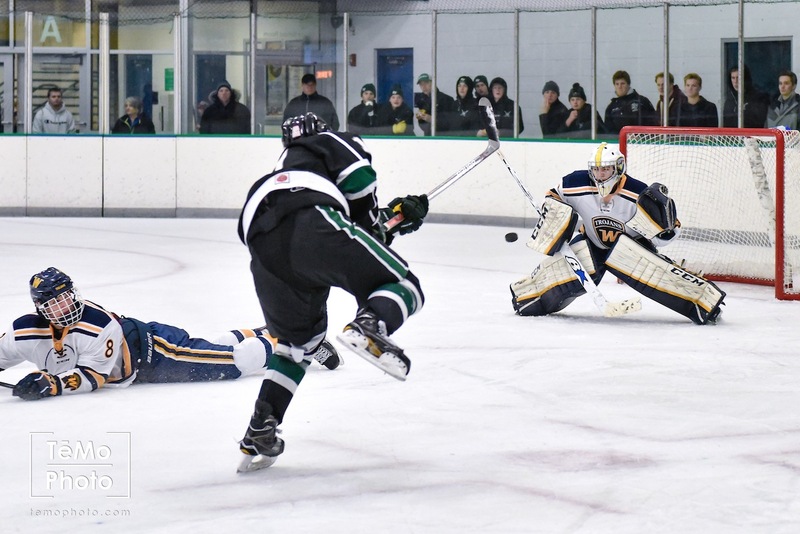 Training is planned to improve all of our players overall strength, speed, and mobility to allow them to become complete athletes and perform through the rigors of the hockey season. Many of our players will inherently have strength and weaknesses within their physiological make up. Some muscles will be stronger than others, some will be more mobile and some will be faster. Through an athletic evaluation we can determine these strengths and weaknesses and prescribe a progressive training program that will address these muscle imbalances through strengthening with correct exercise techniques to help maximize their physical potential. All of this is done prior to coming to play at HF. Dan previously worked as a Strength and Conditioning Fellow Coach for Olympic Sports at the University of Michigan. During his time in Ann Arbor he oversaw the training for the Michigan men's and women's track and field team, served as an assistant with men's lacrosse and women's basketball, and assisted with many other Olympic sports. Prior to this, he worked as a Sports Performance Trainer. 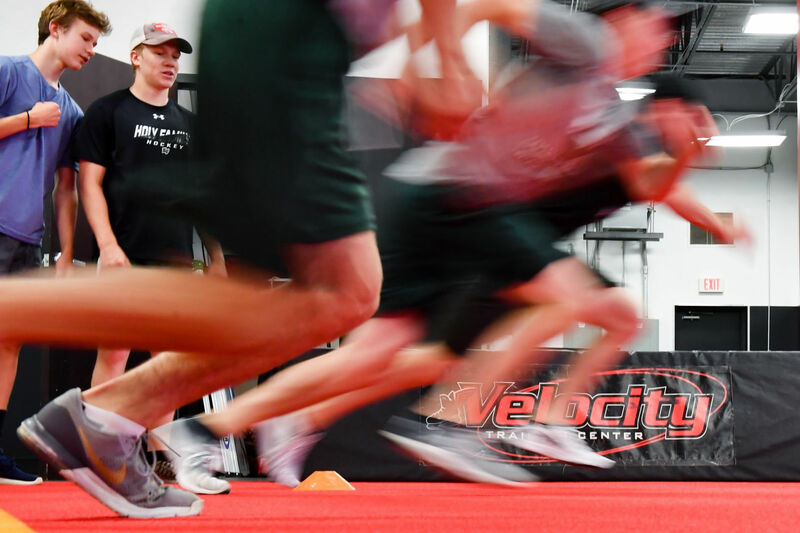 While there, he directed the Summer Pro Training Camp featuring players from the NHL, AHL, ECHL, and European leagues and trained youth athletes from high school down to squirts in strength, speed, and agility. 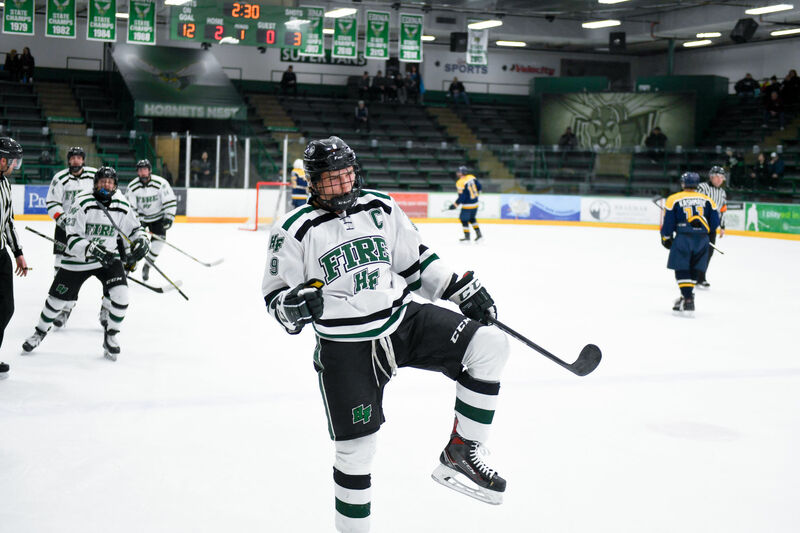 Dan has additional strength and conditioning experience at the University of Minnesota, assisting with men's and women's hockey, Minnesota State University, Mankato, and the National Strength and Conditioning Association's (NSCA) Performance Center in Colorado Springs. Meinz has trained athletes at all levels from professional down to youth. He is a Certified Strength and Conditioning Specialist and active member of the NSCA. He also holds a Level 1 Sport Performance Coach through USA Weightlifting. He received his B.A. in Health Fitness from Gustavus Adolphus College, where he played football from 2007-2009, and his M.A. 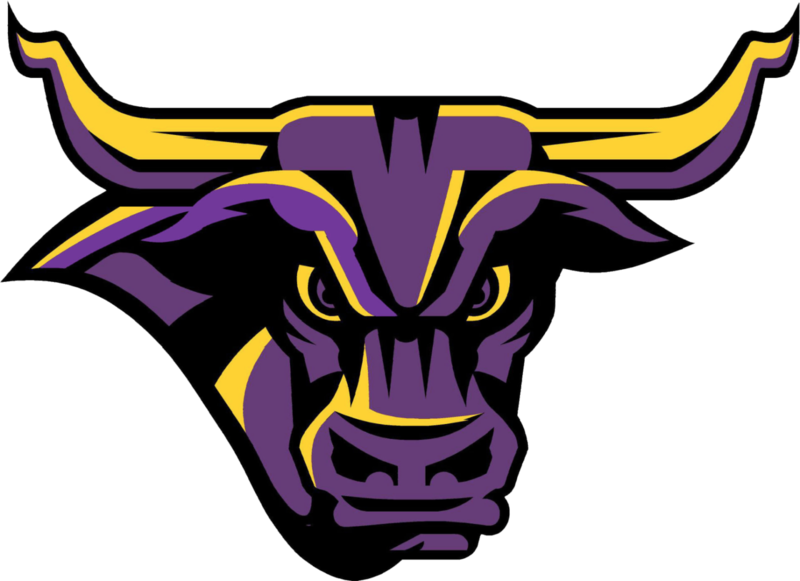 in Exercise Physiology from Minnesota State University, Mankato in 2013. Meinz graduated from St. Cloud Cathedral High School and currently resides in Eden Prairie. The Holy Family Fire home arena is the Victoria Recreation Center located in Victoria MN. 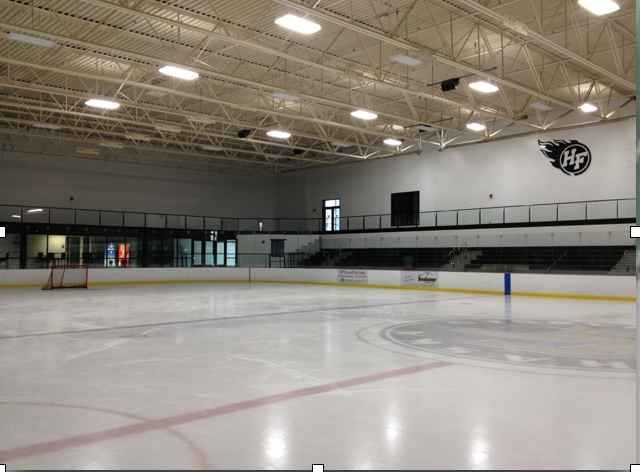 The rink is .5 miles south of the Holy Family High School Campus. The Varsity and JV Teams play all their games and practices at this arena. Game times are 5:00pm & 7:00pm on weekdays and 1:00pm & 3:00pm on weekends. D1 Commitment to North Dakota Sioux. 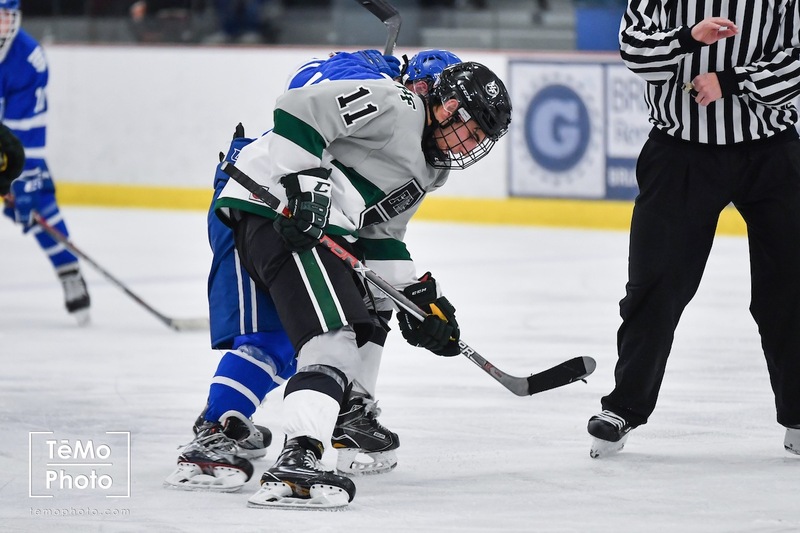 3rd All-Time leading scorer at Holy Family with 74 goals and 89 assists for 163 points. 2 Year MN HS Elite League Member. 5th round draft pick in the NHL draft by the Washington Capitals. 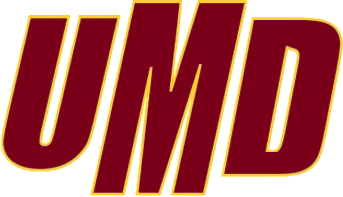 D1 Commitment to UMD Bulldogs. 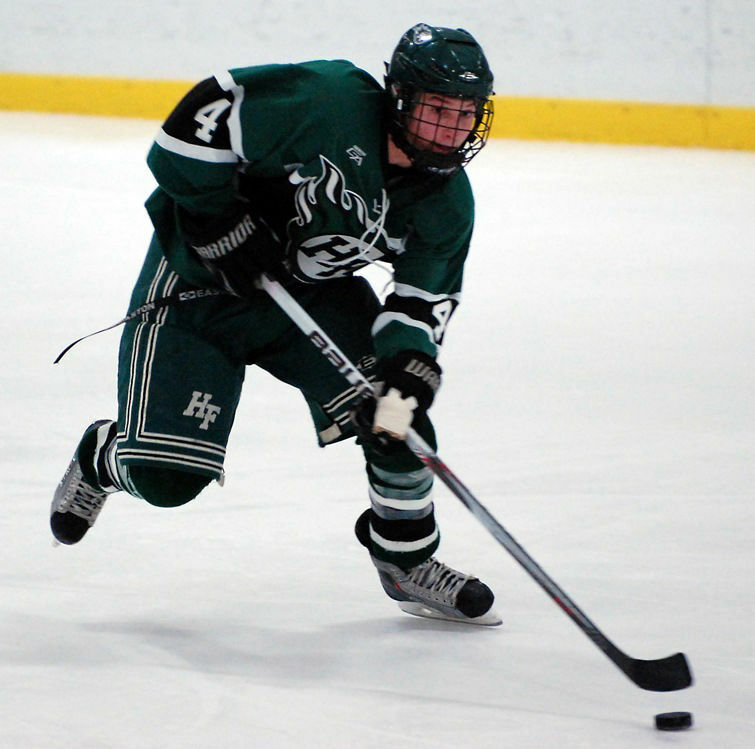 2nd All-Time scoring leader as a Defensemen at Holy Family. Drafted 2nd overall in the USHL 1st Round Futures Draft by the Green Bay Gamblers. 1st Team All-State Selection in the 2015-16 Season. 2016-17 & 2017-18 Holy Family Leading Scorer. Drafted 6th Round of USHL Draft by Waterloo Blackhawks. HP 15,16,17 & 18 Selection. 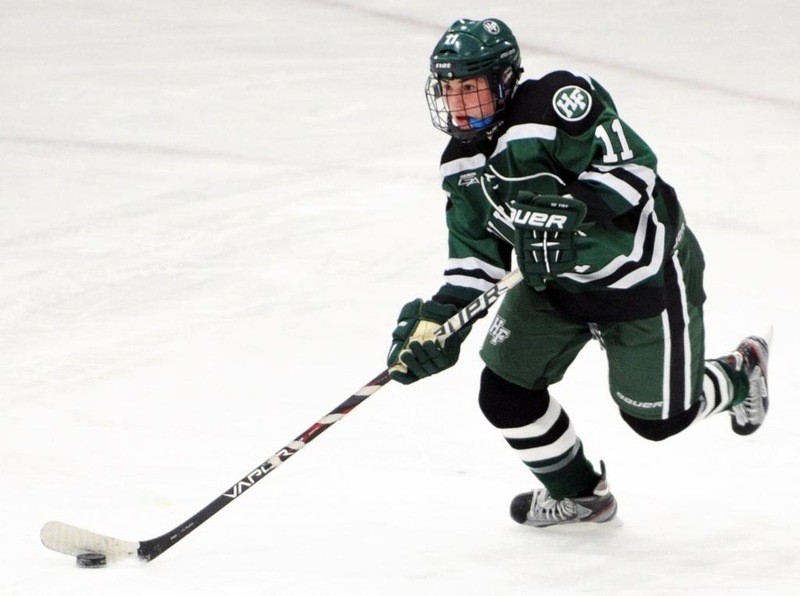 2nd All-Time Leading scorer at Holy Family with 88 Goals and 123 Assists for 211 Points. 3 year MN HS Elite League member. 2nd Team All State Selection in the 2015-16 Season. Drafted in USHL 1st Round by the USHL Cedar Rapids Roughriders. 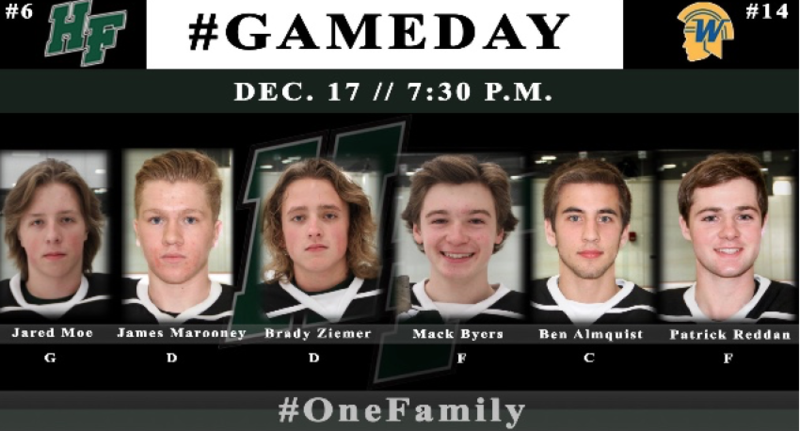 3rd All-Time leading Defensemen at Holy Family with 97points. D1 Commitment to Minnesota Gophers. 142 career points in just 103 games played. 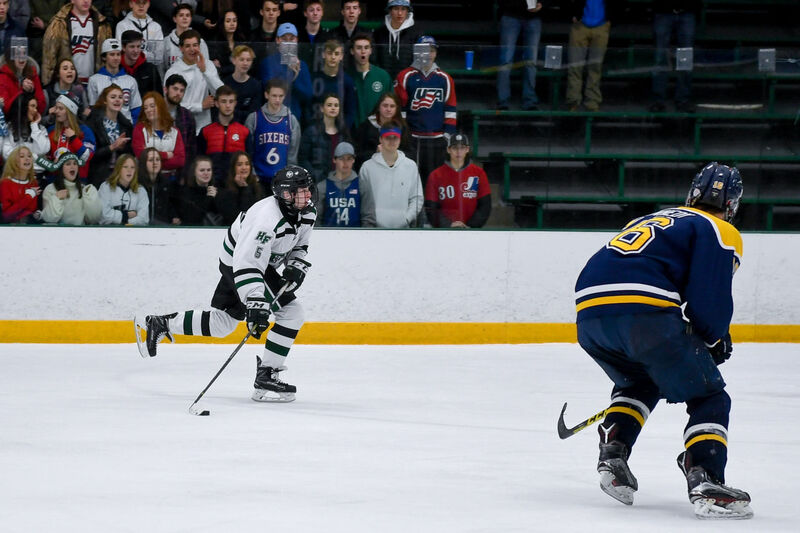 USA Hockey Select 15, 16 & 17 Festival National Camp Selection. D1 Commitment to Denver Pioneers. 2 year Varsity at Holy Family. Drafted by the USHL Tri-City Storm. USA Hockey U17 National Team Selection. USA Hockey U18 Hlinka Cup Selection. 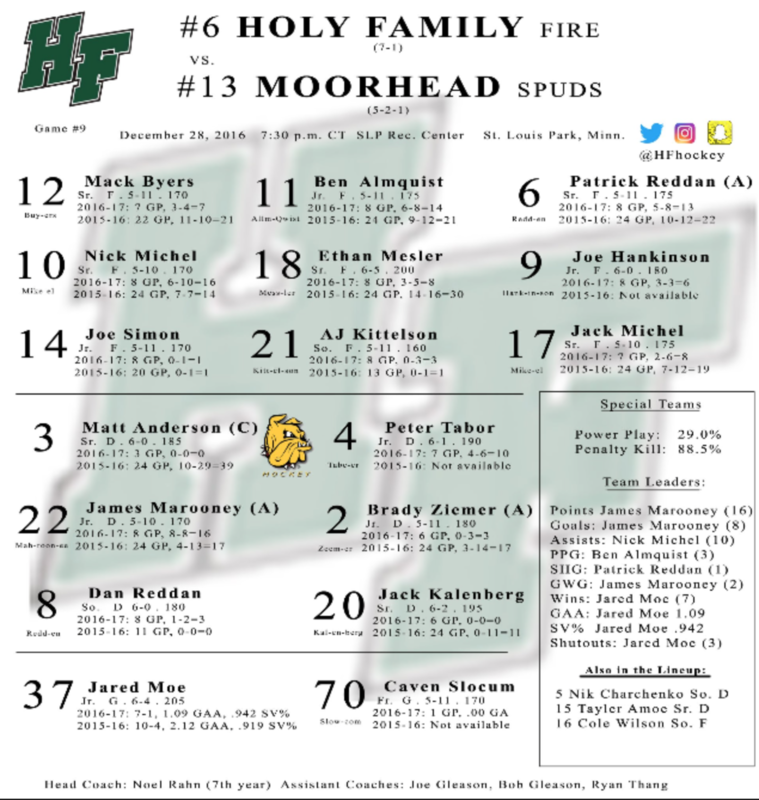 All Time Leading Defensemen at HF with 135 points in just 103 games. Two year Captain for the Fire. Great 8 Selection & NIT Tournament Selection. 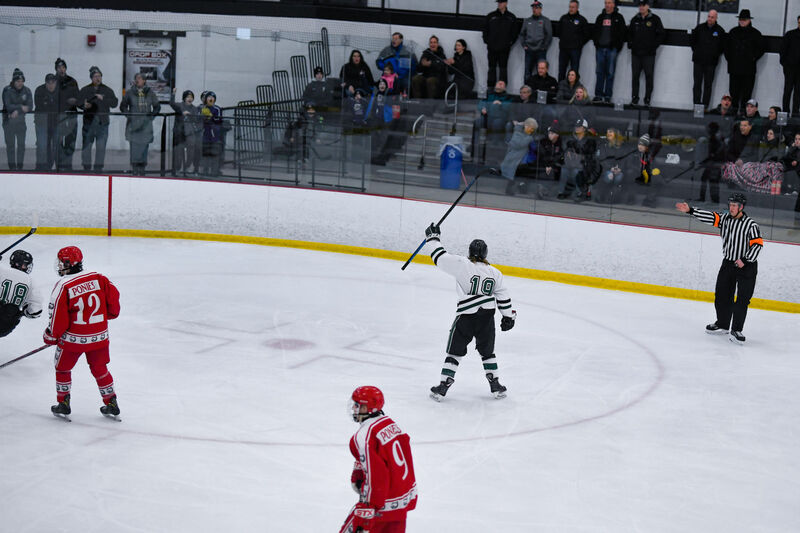 Holy Family's All-Time leading scorer with 110 Goals and 156 Assists for 256 Points. 11th All-Time in Minnesota State High School History. 2 year Holy Family Fire Captain. 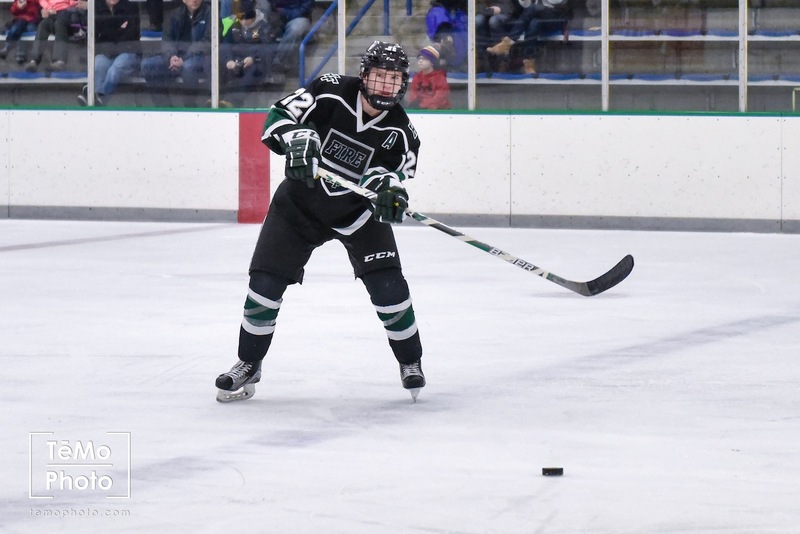 USA Hockey Select 15, 16 & 17 Festival Selection. Drafted by the USHL Waterloo Blackhawks. 91 Total points scored in his 4 years. All-Conference Selection Junior & Senior year. Among the soil-rich rolling hills of the southwest metro sits the welcoming town of Victoria, Minnesota. Within the city’s borders lies an equally welcoming center of educational excellence: Holy Family Catholic High School. Located conveniently near Highway 5, the school serves students in grades 9 through 12 who are particularly motivated by academic achievement, athletic opportunities, the arts, and spiritual growth. With students highly motivated to succeed, the faculty and staff are committed to developing caring, respectful, and con dent leaders who are critical thinkers and can bear the torch of Christian values in everything they strive to do - now and in the future. During each student’s four-year educational journey, Holy Family provides a nurturing environment in which every student is respected, loved, and treated as family. The environment of Holy Family Catholic High School provides a unique high school experience. Holy Family maintains small class sizes to ensure optimal learning and to allow every student to shine based on his or her own gifts. The curriculum is focused and points clearly toward the goal of solid college preparation and academic excellence. We are a Catholic high school. At the core of the Holy Family Catholic High School experience are Catholic Christian beliefs, values and traditions. We prepare students for college and for life. Our academic focus is college preparedness, and students are lifted to their greatest potentials in a climate that supports lifelong learning. We develop Christian leaders with global perspectives. Our Leadership Institute, paired with local, national, and global service opportunities, develops moral and ethical leaders with the skills and experiences needed to make their families, workplaces and world better places. 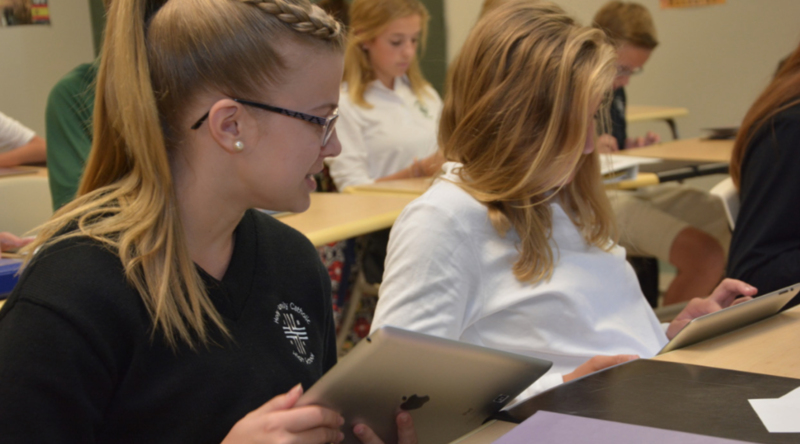 A typical day for students at Holy Family Catholic High School is filled with studies, sports, clubs, prayer, and a strong sense of accomplishment. Unique to our school, the daily student-led Convocation is a time for the student body, faculty, and staff to gather for prayer, the Pledge of Allegiance, and community building activities. For most students, the day continues well past the last bell through one of our 29 sports, performance opportunities, competitive academic programs such as robotics, Youth in Government, Knowledge Bowl, Math League, or a wide variety (more than 30) of clubs. No grades lower than a "C"
Assignments must be turned in on time. Any outstanding assignments or other work needs to be turned in before the player goes to practice or plays in a game. Practices and games are taken away until academic standards are met. The school offers extra help outside of classes and athletes must take advantage of this aid in order to get their academics up to par. Players and parents are able to see the academic progress online. Coaches are given daily academic updates. 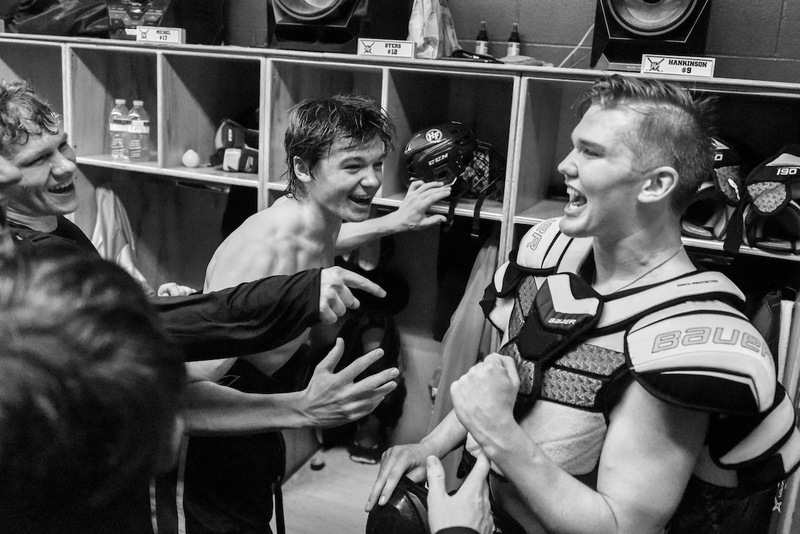 "When the academics are take care of - the stress of school is lifted and the performance on the ice increases." 1. 15% of our student population is not Catholic. 2. Students take theology courses all four years. These are not sacramental prep courses and are accessible to all faith backgrounds. IN fact, senior year, “World Religions” is an option for their course load. 3. Mass or full-school prayer services are celebrated Monthly. 4. Students who are not Catholic participate in Mass and other celebrations, but are not compelled or expected to convert. This is a very comfortable approach. 5. All faith backgrounds are welcome and celebrated here. It isn’t a matter of tolerance – it is acceptance. 6. Faith-based schools provide a moral code that positively impacts student behavior and academic achievement. Visiting HF will demonstrate how this occurs.